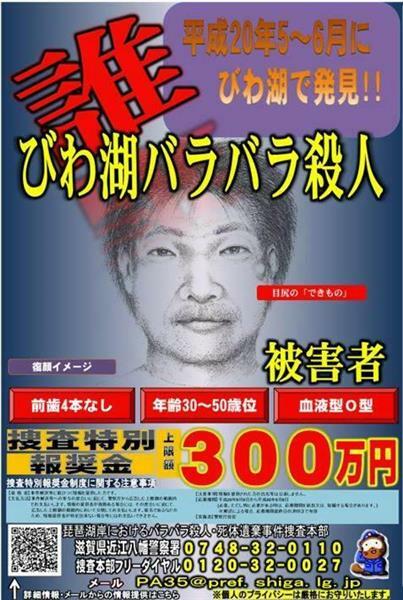 SHIGA (TR) – Shiga Prefectural Police on Friday revealed that a man whose body was found dismembered and scattered at Lake Biwa one decade ago has been identified, reports the Yomiuri Shimbun (Nov. 30). According to police, the body is that of Hideyuki Kawamoto, of no known occupation. 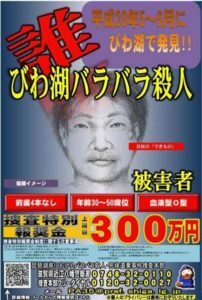 Beginning in May of 2008, body parts belonging to Kawamoto, then 39, including his head and both arms and feet, were found scattered along the shore of Lake Biwa in Omihachiman City and other areas. Police subsequently launched an investigation on suspicion of murder and abandoning a corpse. Over the course of the investigation, police received about 800 pieces of information, but he remained unidentified until this month. Officers regularly handed out information sheets about the case in seeking help from the public in identifying the body. The sheet described the man as standing more than 170 centimeters in height. Believed to be aged between 30 and 50, he had a growth of some kind beneath his left eye. Kawamoto lived in Yasu City. 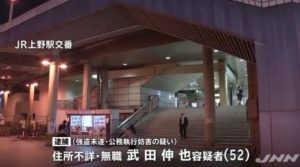 During a search of persons in the prefecture who had applied to renew their driver’s licenses but failed to collect the documents, police found his name. 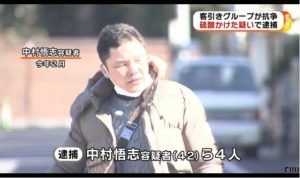 An examination of Kawamoto’s profile showed that his physique roughly matched the description of the man found dismembered. As well, Kawamoto had a mole on his face. 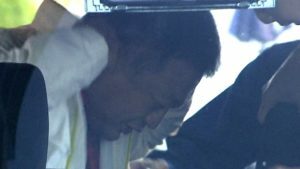 The results of a DNA analysis then proved to be a match for Kawamoto, police said. The cause of death of Kawamoto was suffocation as a result of suffocation. He is believed to have died between one and three weeks before his body was found. The focus of the investigation is now on one of his associates, police said.